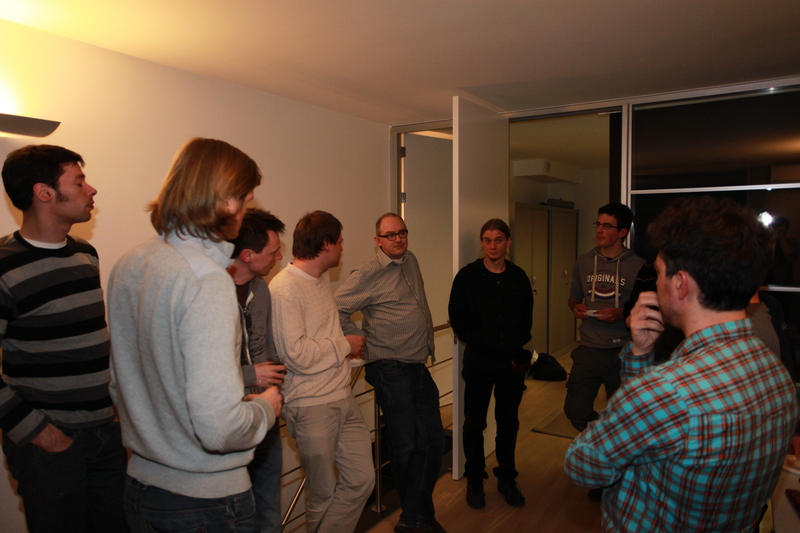 On April the 23th, once again the Belgian Clojure community gathered for a meetup. For the first time the event took place in Antwerp hosted by Webcomrades. Stijn Opheide from Webcomrades gave a very interesting presentation about Datomic and how Webcomrades uses the technology in one of their products. This immediate link with a real product added a lot of value to the talk. This time we had 10 participants which was a comfortable number of people. After the talk we had plenty of discussion ranging from Datomic to how programming is taught at school nowadays. This while having a drink and eating some very tasty sandwiches provided by our host. There will certainly be more meetups in the future. We are also looking at the idea of launching starter sessions. This will be meetups/workshops targeted to people that are new to clojure and/or functional programming. So stay tuned if you are interested!